OnTheMarket plc (LON:OTMP) Chief Executive Officer Ian Springett caught up with DirectorsTalk for an exclusive interview to discuss their victory in the Court of Appeal, key operating metrics, what’s next for the company and where they want to be at the end of 2019. Q1: You recently had a victory in the Court of Appeal, can you explain to us the significance of that for the company? A1: It’s important to remember that that litigation is actually a claim by OnTheMarket for breach of contract by a subsidiary of a major agency group who were in a listing agreement with us really from the outset. Part of their defence was an allegation that elements of the strategy we deployed when we entered the portals market in 2015 were illegal under competition law, that by the was comprehensively rejected by the competition appeal tribunal and now also by the Court of Appeal. So, that result clears away the majority of the potential downside risks to us from the litigation and also takes away a major diversion of management time and resources. Going forward, there is a further piece of the litigation which is the completion of our breach of contract claim. We’ll be seeking recovery of our costs from the competition case and the remainder of the litigation could result in an award of damages to us so we’re keen that the court hearing comes up as quickly as possible now. Q2: This morning, you’ve announced operating metrics which show a very strong performance since your IPO last February. What are the key take-outs for investors? A2: When we’ve talked previously, I set out our post-IPO strategy as, first of all, to recruit agents as rapidly as possible to OTMP with a view to building market share of property listings and to do that as quickly as possible. To make the portal as relevant to as many property seekers as possible and to progressing ramp up our investment in marketing to attract more active property seekers to the portal. To engage with agents, to build their support for what it the only major agent-backed portal to demonstrate to them the value that we have been delivering and that value is increasing all the time. Also, to encourage their practical support for things like what we call our ‘new and exclusive’ programme where agents give us their new properties before releasing them to other portals. What they’re also doing for us is setting up property alerts when new applicants come to register with them in their offices or on the phone. All of these low-cost things provide us with pretty powerful sources of competitive advantage which the other portals can’t match. So, the numbers in today’s release show pretty clearly that the strategy is being delivered and it’s working. The combination of more property stock on the portal, more active property seekers looking at the stock and the delivery of thousands of new properties to property seekers every month, before they see them on Rightmove or Zoopla, is resulting in strong growth in lead generation by OTMP for our agent customers. Just to summarise in some easy to remember numbers, since last February, since we listed, we have more than 2.25 times the agent offices listed with us. We’ve got more than 4 times the visit traffic and we’ve got more than 7 times the leads being generated. So, from all of those things, it is possible to work out that we’re delivering more than 3 times the leads to agents than we were delivering a year ago. 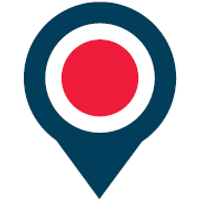 Q3: What’s next for OnTheMarket? A3: The next 6 months is a pretty important period for us. We’ll keep up the growth momentum on those key operational metrics, but we’ll also now be approaching agents who, over the last year or so, have been joining us on trials, mainly free trials, we need them to begin paying listing fees now. We have conduced successfully a pilot of a range of offers that we’re going to be deploying over the coming months, one to highlight is some long-term listing agreements which will have share issues as part of the package. This has been part of a strategy from the outset, at admission we had authority to issue around 36 million new shares for this purpose and the majority of that is still available to be used. So, these deals give selected agents the chance of substantial equity participation linked to their long-term commitment to supporting the only agent-backed portal with their fees and their listings. Of course, in committing to long-term, they are in the process fixing their listing fees to give themselves a certainty over one element of their overheads. So, we think our proposition, which is a sustainably, fairly priced agent-backed alternative to Rightmove and Zoopla, and the direct advertising that we’re now delivering we think that will be attractive to agents as they face increasingly challenging market conditions. Their income and margins are under pressure and obviously, right now that’s particularly so. Remember that for the small independent agents which make up around two thirds of the market, our fees will be about a quarter of those charged by Rightmove. Q4: Where are you hoping to be by the end of 2019? A4: We’re looking to be still bigger, there is more scope for us to grow our property advertiser numbers and that is by increasing the number of agents that are listing with us but also potentially to move into working with new homes developers, a market that we have not begun to pursue just yet, more consumer traffic, more lead generation. We are also looking to match Rightmove’s product set that it provides for agents and that is the introduction of more back office tools that are currently relied upon by agents using the Rightmove system. We want to provide all of that functionality through OTMP and also, additional advertising products which again, both our main rivals provide which we have yet to deliver. So, we expect to have all of that in place by the end of this year. I guess the third key thing is that we have been investing very heavily through the P&L using the money we raised at IPO to drive the growth in the business. We are looking to achieve a sustainable monthly full breakeven position by the end of this calendar year. If we can do all of those things, we will be superbly positioned to go on to deliver what we want to for our estate agent and letting agent customers and also for our shareholders so an exciting time for us.